Welcome to July's One Little Word. If you are following the hop you have just come from Jill's blog. She is amazing. If you started here, and want to travel from the beginning, Margie's blog is where you want to be. OLW has been one of the best committments I have made with my time this year. Ali's prompts for olw have been of great benefit to me as I have remained focused, balanced, and all the while looking forward to what my word will do to move me to the person I am to continue to become. That is my word. Not a noun. Rather a verb. Something to do. Artistic process and time to play was the theme for July. Individual canvases to pursue our word in a visual manner. 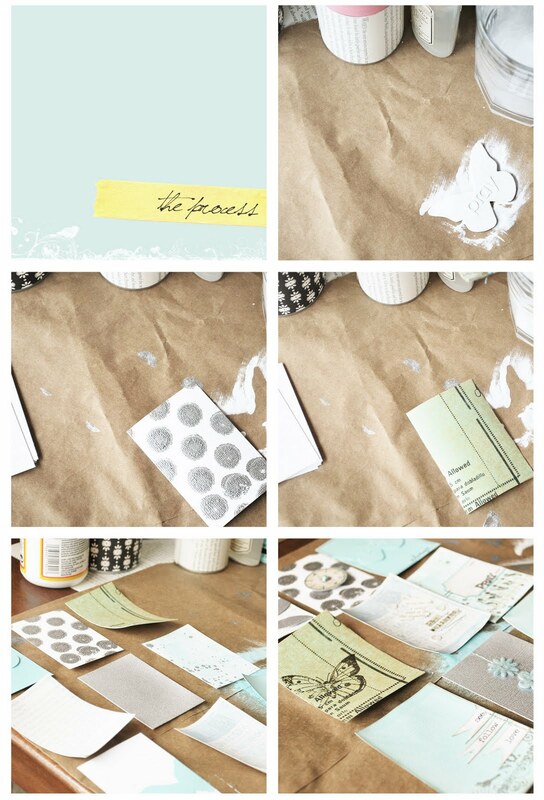 Opportunity to utilize paint, gesso, stamps, ink, and all manner of medium and to watch where it takes us. some of the canvases were inspired from ali's work. others happened as i played. the concept for me was to layer medium on top of medium. canvas1: old book page.gesso.watercolor wash on the edges. 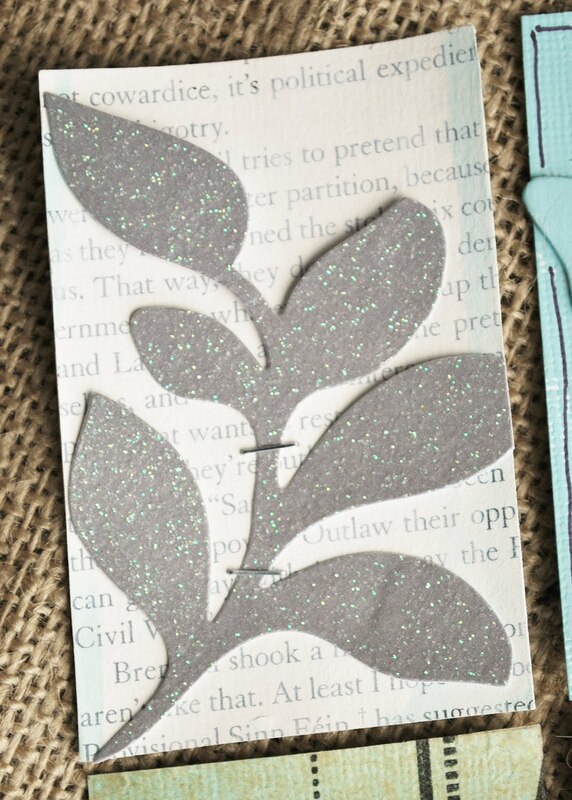 glittered leaf die cut attached with mini attacher. 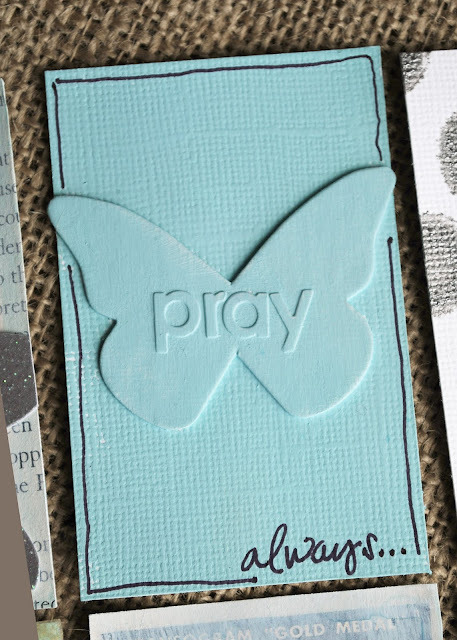 canvas2: die cut chipboard butterfly and basic grey letters painted in acrylic then attached to canvas. sharpie outline and handwriting. canvas3: silver paint dabber. 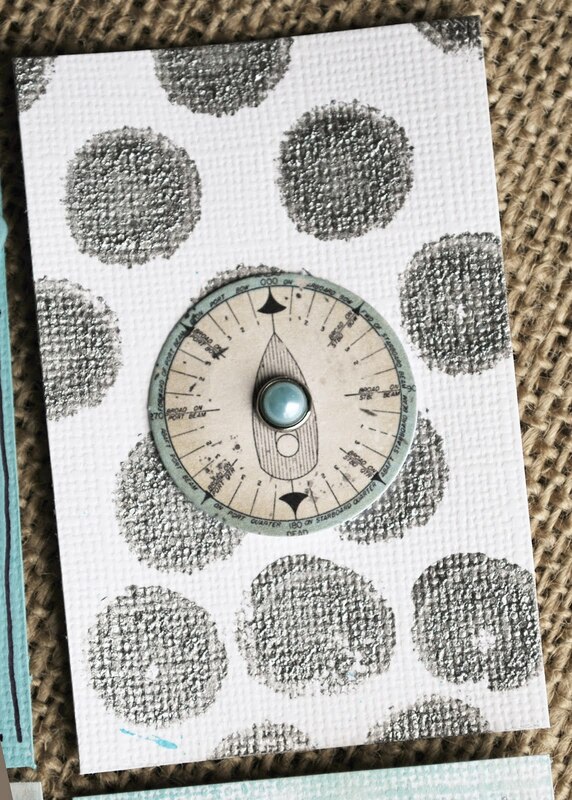 compass element: stella and rose. canvas4: acrylic paint in soft blue. sewing pattern and modge podge. 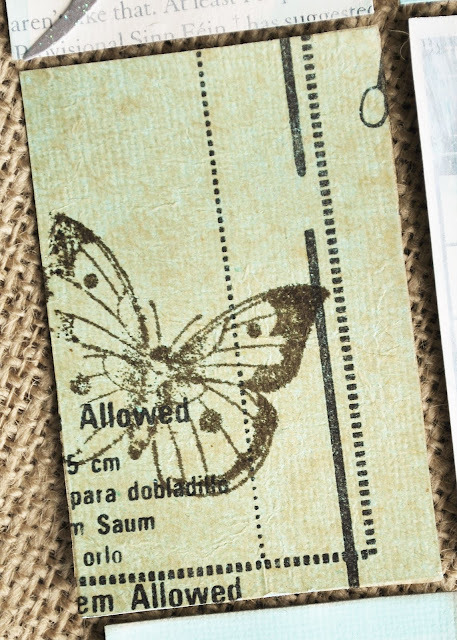 old hero arts butterfly stamp in chocolate. canvas5: mini bingo card: kenner road. gesso wash+watercolor wash. butterfly punched from book paper and stapled. words: melody ross/soul food collection. stitching. scattered sequins: inspire lovely. canvas6: dry brush technique. silver spray paint. ho3 ticket attached with mini attacher. 7gypsies tape. canvas7: watercolor wash. daily junque border stamp. printed and hand trimmed stitched banners. canvas8: silver spray paint. 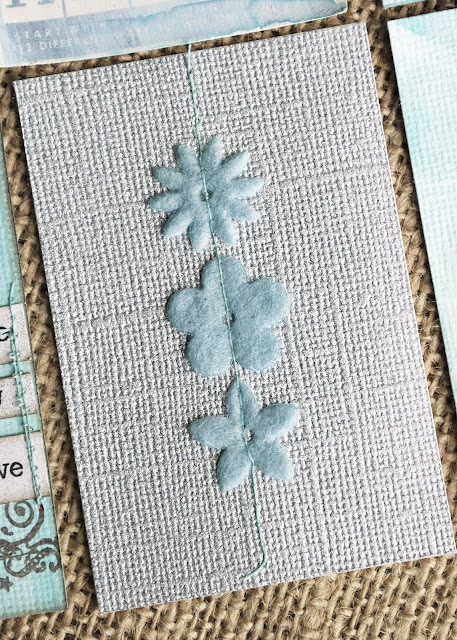 stitched felt flowers. canvas9: masked butterfly stencil. 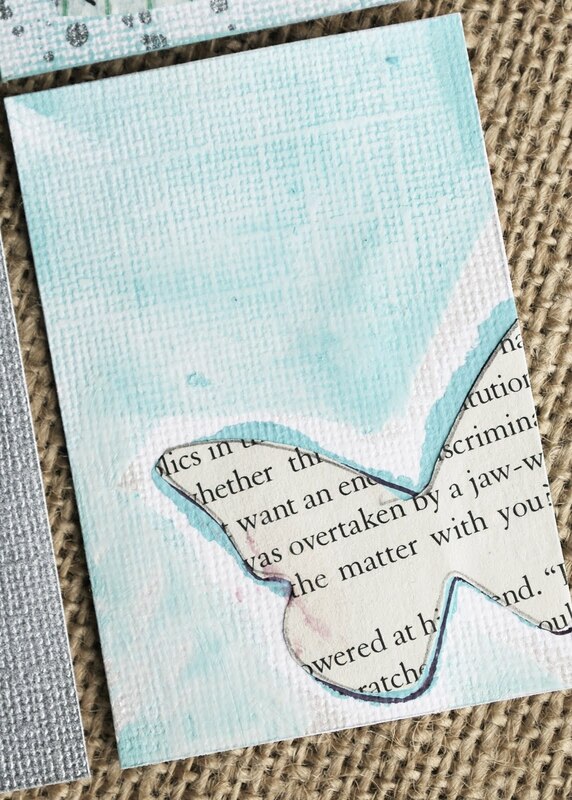 watercolor wash. butterfly die cut from book page. I invite you to continue the journey by clicking here to Cherie's blog. Thank you for stopping in today and sharing in the word. Your cards are amazing. Love the color combination. Love what you have done Jaimie!! This has been my best commitment too so far. Love, love, love the colors! Your canvases are just beautiful. 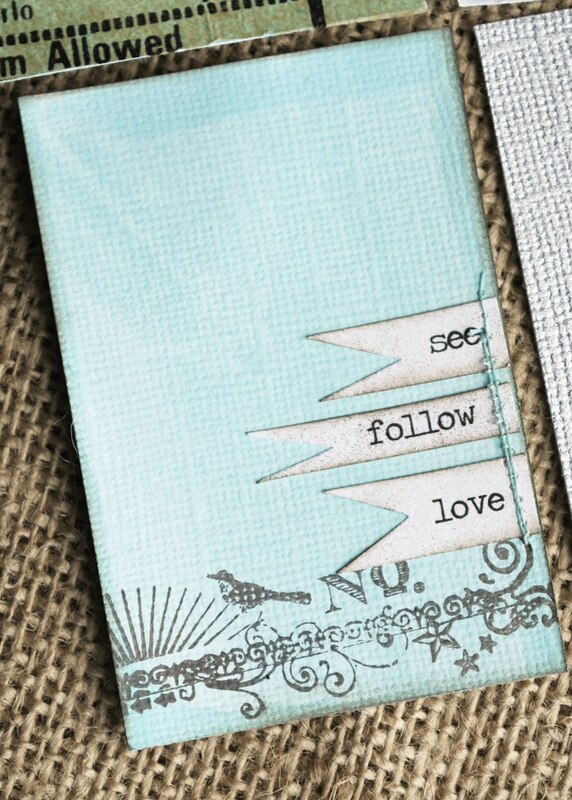 Absolutely ADORE this soft, calming color palette Jamie! Your canvases are beautiful. Fun seeing how many of us are incorporating butterflies too ... seems to be a bit of a theme with us OLW'ers. beautiful canvases and colors!! Love the soft colors so much! I agree that Jill is amazing, but so are you! Your canvases are simply amazing. So inspiring. 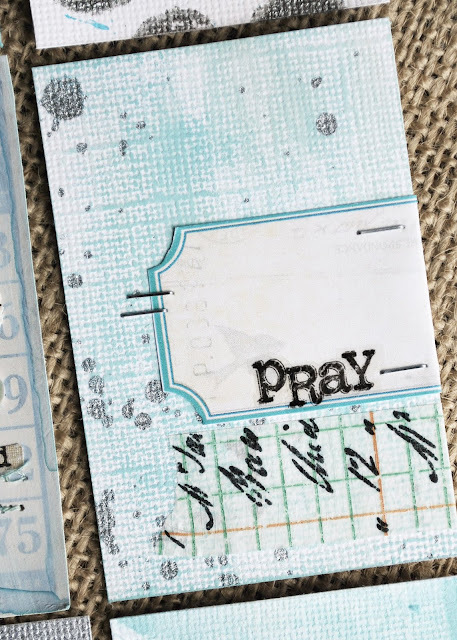 I'm once again behind in my OLW assignments (even though I was really looking forward to this one), so I missed the blog hop this time. But I had to come visit because it is always so inspiring. Thank you for sharing your art and the process. It definitely makes me want to find some creative time this weekend! these are so amazing! i LOVE them! I feel calmer just looking at your cards; they are gorgeous! And I love that you included your process. Totally adore your colours. 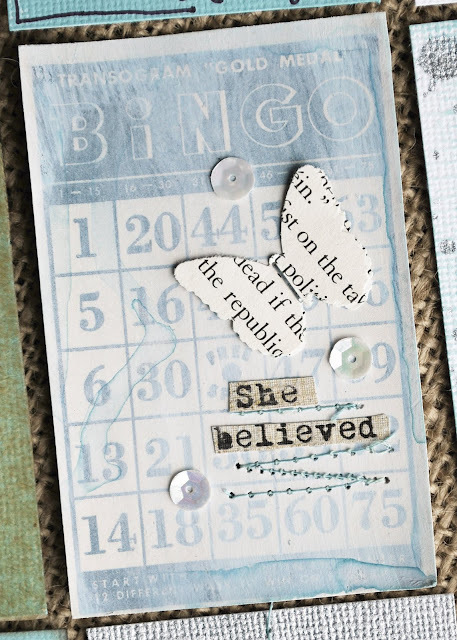 Your cards look really simple, but they are so artistic and you've really captured that creative freedom that I think Ali wanted for us this month. Well done! Jamie, I love your work this month. I agree with everyone else that your color palette is divine! Beautiful colors and I love the texture. Lovely canvases! 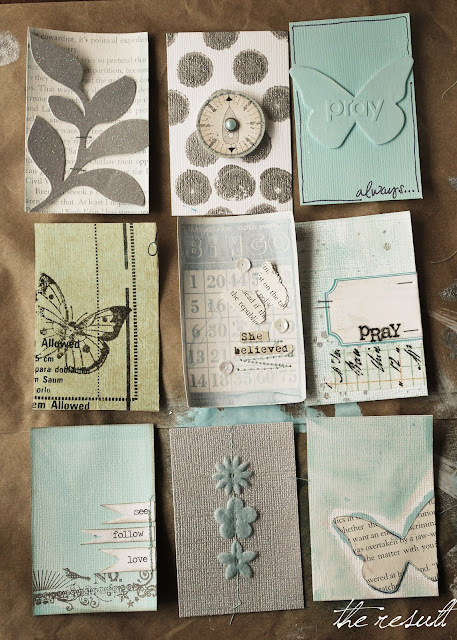 I just love the silver grey blue colour scheme and all your lovely techniques! love all your canvases and the way you've documented your process. Beautiful work! Your canvases are amazing! Love everything about them. this is such a beautiful project, I LOVE it!! Beautiful work - I really love your colours. Stunning, love everything about every single canvas. So beautiful, well done! These are absolutely gorgeous Jamie!!!! I admire each and everyone of them!!! Wow! I am in love!!! These are stunning, Jamie! Just WOW I love the soft colours on your canvases - these are so stunning! I love your cards ! In French : j'adore vos cartes !